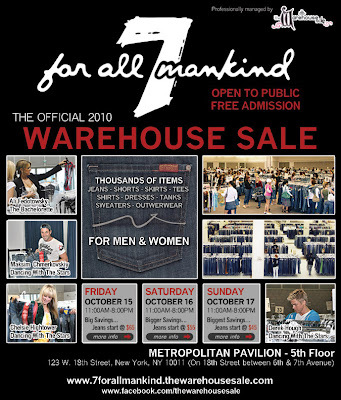 The 7 For All Mankind warehouse sale is this weekend at the Metropolitan Pavillion! 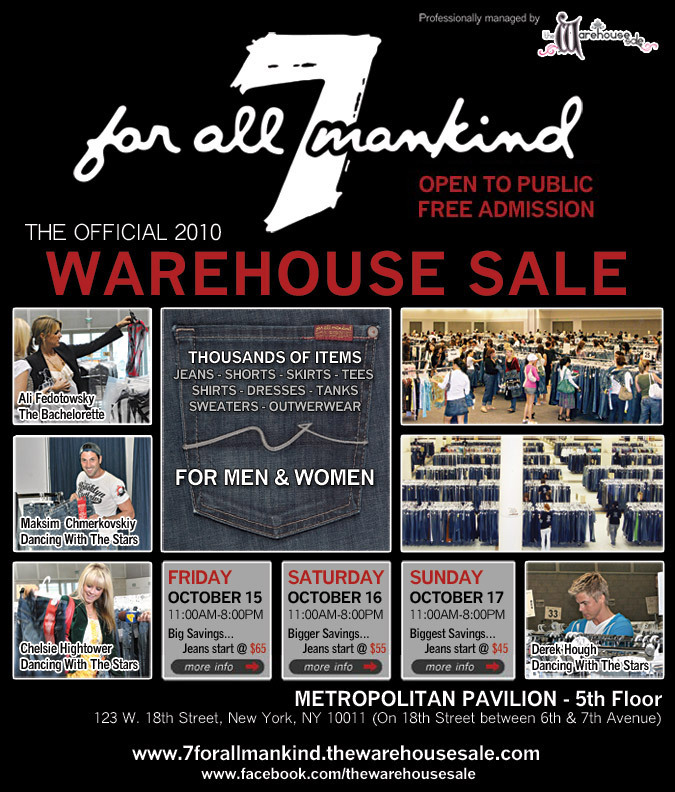 Even though the sale is open to the public, you still need to rsvp here. The last day is always the best day to go - on Sunday, jeans will be starting at $45! I don't know if I'll be able to make it, so let me know how it is if you go!